Step 2: On the home page, click on “Click here to IBPS Clerk preliminary exam results 2018′ link. Step 3: A new window will open. On the new window, enter your registration number and password and log-in. Step 4: Your result will appear, download or save your IBPS Clerk Prelims Result for future reference. Mains Exam for IBPS Clerk 2018-19 is planned on 20th January 2018. The result for the same will be declared 10-15 days after the commencement of the exam. Those candidates who cleared the Mains Exam will be given the final allotment letter by IBPS. IBPS Clerk 2018-19 Mains Exam Result (Final Result) will be released on 1st April, 2019. First of all IBPS CLERK Prelims Result is declared then it is followed by the result of Mains Exam. Clearing all the phases of IBPS CLERK 2018 is goes to final selection in multiple Public Sector Banks. 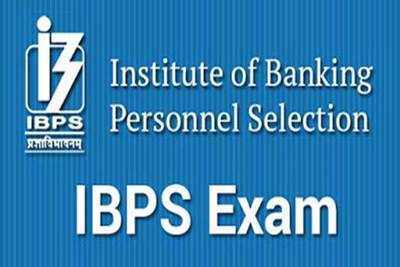 IBPS Clerk Prelims Result decides the candidates’ eligibility for IBPS Clerk Mains exam. Mains Exam score of the candidate is considered for the final selection, for the post of Clerk in different Public Sector Banks spread all across the country. The Final Result for IBPS Clerk 2018-19 exam will be released on 1st April 2019. The final result of IBPS Clerk 2018-19 will be based on score obtained by candidates in his/her IBPS Clerk Mains Exam 2018-19. Candidates who are selected after the final round are handed the appointment letter to join the Bank of their choice.